Imagine a vibrant, melodic, guitar driven powerful instrumental MARILLION / TANGERINE DREAM hybrid and you have the exciting sound of MAXXESS! For those who don’t know, MAXXESS is a German one-man multi-instrumental halfway house between Synth Instrumental music and Guitar/Keyboard driven instrumental Prog-Rock, and he is brilliant at it! As a result you get what is in effect a full band sound that is, driving, dynamic, powerful and always melodic - a bit like instrumental passages from MARILLION meeting the best of modern day TANGERINE DREAM. This guy looks like a rocker and his music is probably closer to ‘Rock’ than ‘Electronic’ but it is a definite merging of the two genres in which he features the electric guitar as the main driving force within most of his compositions. 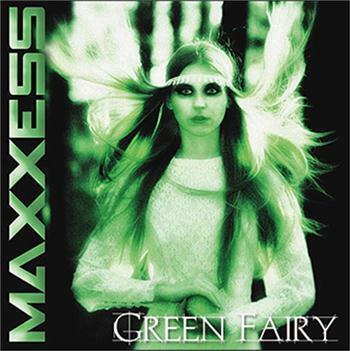 There are big hooks flying aplenty as MAXXESS blazes his way through seven brand new tracks on the ‘Green Fairy’ album, which, after a string of best selling back-catalogue titles dating back to 2001 (including two with German Synth artist AXESS), looks like taking 2014 by storm at CDS Towers. ‘Green Fairy’ is released on 1st June 2014.